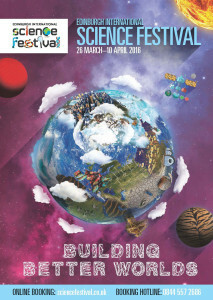 Richard and I will be heading up to Edinburgh at the end of March for the Edinburgh International Science Festival. We’ll be speaking about our new book Sorting the Beef from the Bull as part of the GastroFest on 30th March from 20:00 to 21:30 at the Anatomy Lecture Theatre, Summerhall. We’re very excited to be part of this event, which is a true celebration of science. To book tickets or get more information, please visit the festival’s website.